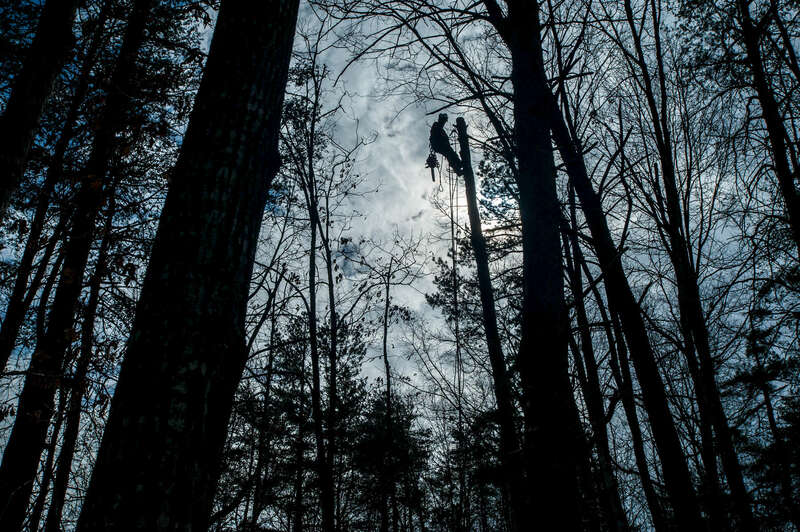 With a chainsaw attached to his belt, Isaac Schumacher scaled a tree to prepare it for felling on Valentine's Day. The two trees that were cut down were milled on site at Kevin Ferrell's Appomattox farm, and eventually became the Lizzie's cap rails, a strong point on the batteau. Originally, the plan was to mill the two pieces from just one tree, but the the pair felled a second after a miscalculation.